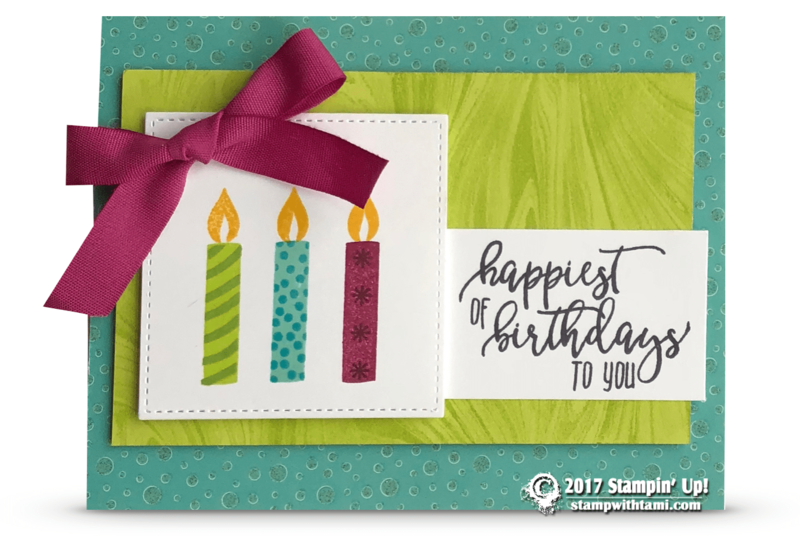 “Happiest of birthdays to you” from the Stampin Up Picture Perfect Birthday stamp set. The candles are stamped in fun, bright colors. The square panel is cut with the Stitched Shapes dies. The Lemon Lime Twist panel is stamped tone-on-tone with the Marbled background stamp. All layered on the Myths & Magic specialty designer paper.